Over the past several months I've had the opportunity to try some products geared towards runners ( and anyone seeking an active, healthy lifestyle really). Some of these products were given to me for free to try in exchange for a review and some of the products I've purchased on my own. Regardless of how I obtained them, all opinions are my own and you can count on me to be completely honest! But please remember, this is just one persons opinion. I'm going to start with one of my favorite products! Neuro Bliss! I have to admit when I heard of Neuro Bliss, I thought it was a little bit hokey. This product claims to help reduce stress, enhance your mood, provide focused concentration, and promote a positive outlook. Really? All that from one little drink? I was provided three bottles of Neuro Bliss from Danielle at It's a Harleyyy Life. I tried it and I instantly LOVED it. It tasted like a lightly carbonated grapefruit juice ( but not as strong). I love grapefruit juice ( but I hate carbonated beverages). This carbonation was so light that it did not bother me one bit. In fact it was just enough to make it feel refreshing. I have to admit that it did not make me feel any different mentally ( although it did make me happy to drink it and left me craving more)! I generally have a positive outlook and I don't have much stress in my life, so whatever it IS claiming to do is a bit hokey. But is it tasty? YOU BET! After a bit of searching, I found that my local Target sells Neuro Bliss for $2.49 for a 14.5 oz container. I think that's a little pricey for one drink, but I liked it so much that I decided I wanted to try it again. This time I chose a different kind. 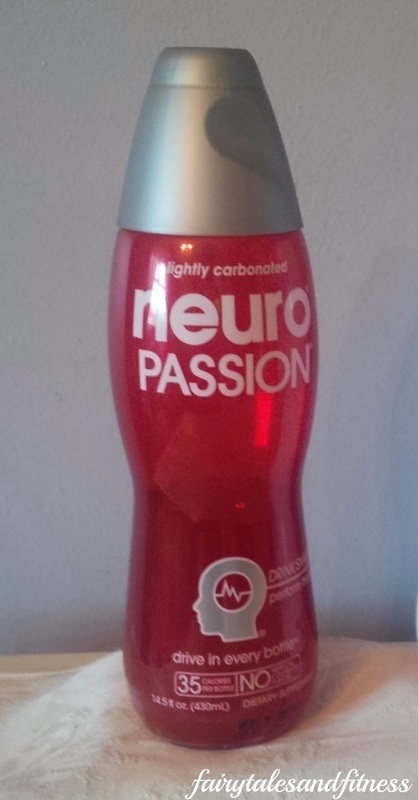 Neuro Passion. This one claimed to give you sustained energy , improve your performance, increase drive and stamina, and enhance cognitive function. Okay, this was going to be a good one. I would drink this before a run. Just from the name "Neuro Passion" I couldn't tell what flavor it was, so I was really taking a chance. It ended up tasting like a cherry cola that went a bit flat. But that was okay to me because I don't like a lot of carbonation, remember. I had a little swig before my run. That particular run did not go so well for me that afternoon. I had only gone two miles before I had to turn around and walk home. I had such a pain in my side. I don't know if the little bit I had to drink contributed to it or not. When I returned I drank more of the Neuro passion. Almost instantly I had got a sharp headache. I put the drink in the fridge and later that night sipped on it two more times and each time I had a drink of it I got a sharp headache. I was now afraid to even finish the rest! So there it is, my review of Neuro Bliss and Neuro Passion. 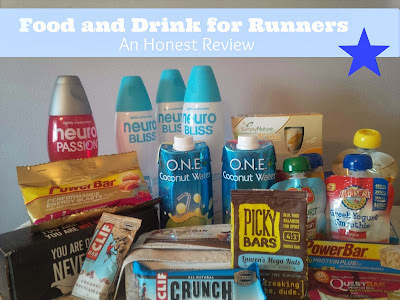 I've been hearing so much about this product and how runners should be drinking it. I then read an article about how it should really only be used for short runs. I had to try it anyway. My local grocery store had it on sale two for $4 and then was giving a coupon for $1 off two of them. So I got two containers for $3. Not bad. Too bad I can't say the same thing about the taste! I tried to keep an open mind about this. Really I did. I tried to make myself like it ( cause afterall, it's suppose to be healthy, right?) It is much thicker than actual water ( which I figured it would be) and it has a very dirty taste to it. No, I don't ever remember eating dirt, but it taste like what I imagine dirt would taste like. I figured coconut water would come in a coconut flavor, but my store only had pineapple flavor and pink guava flavor. Both of these I would have to give a big thumbs down to. I don't know if it were actually coconut flavored if it would taste better or not, but I would say probably not. It would still be that thick texture I did not like and I'm sure it would still taste dirty! Over the summer a fellow runner told me that she uses baby food in the pouch as running fuel ( instead of the Power Bar pouches). I found this a bit odd, but was curious. 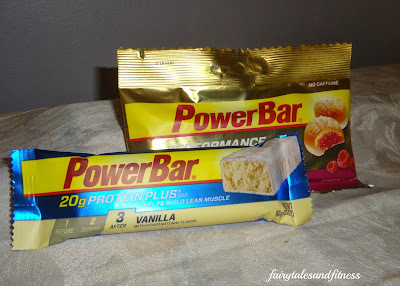 When I was at the Rock N Roll expo back in August, I asked a Power Bar's representative about this and he said baby food is great fuel for runners because it gives them the nutrients they need and it is very easy on the stomach. I did try some of the Power Bar pouches and I liked them, but figured I would try the baby food fruit pouches too. Wal-Mart and other grocery stores sell these pouches in the baby food isle and in the packaged fruit isle ( with the applesauce, raisins, etc). They range anywhere from .88 cents to $1.89 a pouch. Some are fruit and some are a yogurt base. I also found a box of four pouches at Aldis for only $1.99. Big Lots also has individual pouches for .33 cents a piece. These are only 3.1 oz, but are the perfect size to hold in your hand while running. ( They do fit on a fuel belt/running belt, but I didn't like how they flapped around while I ran). After running at Disney earlier this month, I was convinced that these pouches were a hit. I found one in my Disney Running Box! Belvita was one of the sponsors for the Runner's World Half and Festival back in October so of course we all got complimentary packs of these yummy breakfast biscuits/cookies. I tried the Cinnamon Brown Sugar ones and am now hooked. They kind of have a graham cracker taste. These are great for a quick breakfast. There are four cookies/biscuits in a pack and I can honestly say that I become full before I eat the entire pack! I was given a free box of Quest Bars (White Chocolate Raspberry and Chocolate Chip Cookie Dough) from Quest Bar and Sweat Pink. I am normally a bit hesitant about protein bars because to me they always seem to be too thick and tasteless. I was very excited to try the White Chocolate Raspberry though and it did not disappoint. Both of these bars were full of flavor and were quite moist. 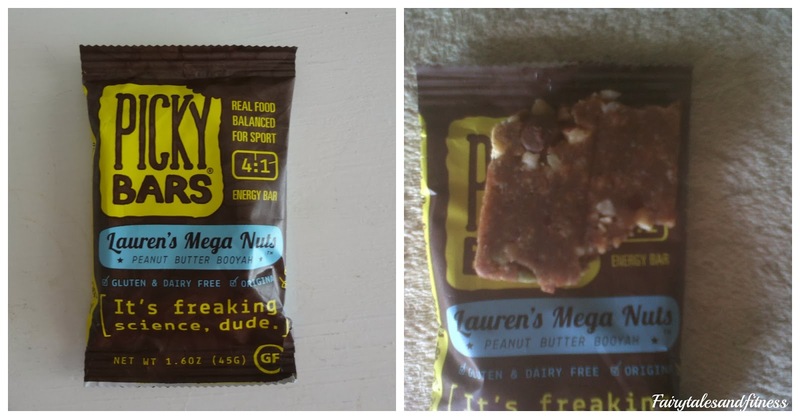 As far as protein bars go, I liked these! You can tell I liked them so much that I forgot to take a picture of the Chocolate Chip Cookie Dough one. Lara Bar was another sponsor at the Runner's World festival. Flavor of Lara Bars that I tried included Pumpkin Pie, Lemon Pound Cake, Sticky Bun, and Roasted Nut Roll. The names of the flavors alone gave me high hopes that these would be yummy! The Lemon Pound Cake was my favorite. It was thick, moist, and had a nice lemon flavor ( not overly strong). I love Pumpkin flavored stuff ( have you read my Pumpkin flavored food post?) so I was excited to try the Pumpkin pie. The flavor of that one was not strong enough for me. If I had not read the label, I probably wouldn't have known it was pumpkin pie. As far as the Sticky bun and the roasted nut, let's just say I was not a fan. They indeed were a bit sticky ( sticking to my teeth), and I didn't enjoy all the nuts in them. I believe these came to me through the Disney runner box. The top one is a Chocolate Chip granola bar. It was crispy and rather dry ( like a regular granola bar is). Nothing all that special. The bottom one however is AMAZING! This was Coconut Chocolate Chip. This tasted like those Somoa Girl Scout cookies (Ya know the ones with the coconut and chocolate)! I have been looking high and low for a box of these and have yet to find them! The Picky bar came from my friend Jocelyn at The Enthusiastic Runner who works for Picky Bars. I had never heard of Picky Bars before but am really glad I gave it a try. These bars tasted more like candy bars than "healthy" bars. I had the Peanut butter Booyah and expected it to be thick and tasteless but I was proven wrong. In fact, it was anything but. It had the perfect blend of peanut butter and chocolate and also had a good amount of crispiness ( probably from the chocolate chips and some kind of crispy rice) I can't wait to try other flavors of Picky bars now! This was the first time I've ever had a Vanilla protein bar. I may have to change my outlook now on protein bars, because this is yet another one that has proven me wrong. I liked this one because it was vanilla, and also because it had some crispiness to it. I believe I received this Power Bar from a race box. Have you ever tried the Power Bar Performance Energy Blast? If you like gummy things, you should really try these. I've had the Raspberry, Strawberry banana, and the cola flavored ones and they are all good. I would prefer these to a Gu, but they are probably a little harder to carry on a run. If you read all the way to the bottom of this post, Thank You! I was debating if I should have made this into two posts or not. So now I want to know if you've tried any of these products and what you thought of them. Also, is there a new product that you've recently tried? If so, please share! 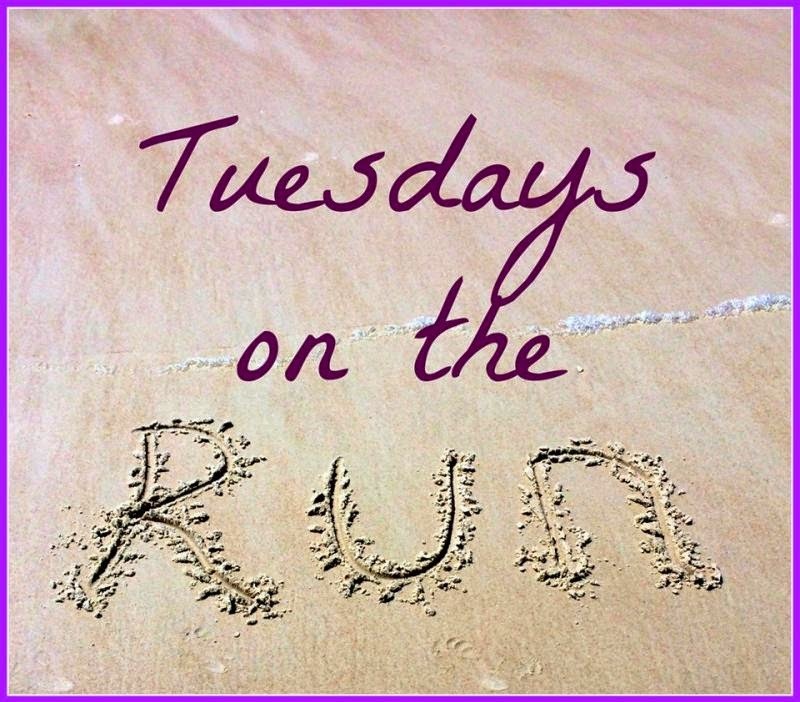 This is a post that we re-posted for Tuesdays on the run with April, Patty, and Erika! I like most of the things listed above, but I've never tried Neuro Bliss or Passion. Sometimes artificial sweeteners give me a headache so I'm going to stay away from these. Thanks for the honest review! I enjoyed the Quest bars...both flavors I received had good flavor! Hmm, maybe the Neuro Passion did have more artificial sweetener than the Neuro Bliss. I should have checked that out. I will definitely be buying the Neuro Bliss again though. It had such a great flavor! Thank you for an excellent review as always Meranda!! 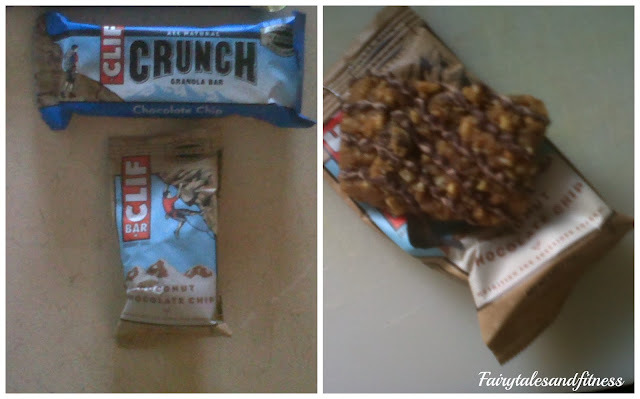 I have lived off Clif Bars for years & love them. I'm very picky about what I like to eat and drink, so I have avoided the drinks you mentioned although I have read numerous positive reviews about the ones you tried. Coconut milk is so popular but as a person who hates coconut, I will never try that stuff! As for bars, I like the Cliff bars, but recently read a less than stellar review about their nutritional content. So, I now consider a treat instead of nutritional supplement. I did try a Quest bar and thought it was awesome...I think it was called cinnamon bun flavor! Yea, I couldn't believe how many calories are in some of those tiny bars ( I guess that's why they are protein bars). You really need to make sure you are participating in a workout when you eat those things ( cause you'll for sure need to work off those calories). I recently discovered the Belvita biscuits too. They are SO good and I'm trying to get to all the flavors, but I love the cinnamon brown sugar ones. I have also seen blueberry and some kind of multi grain or wheat ( or something like that). Please let us know how you like the other flavors! Hi Aqilah! Thanks for reading! Those banana Walnut quest bars sound yummy. I'll have to look for those! Wow, thanks for all the reviews! I've been wondering about the Quest bars. They look so appealing, but I just haven't tried them yet. I'll have to snag one the next time I'm at the store. Yea, I wouldn't mind trying some other flavors too. Thanks for all the reviews!! I never would have thought you use those baby food pouches as long run fuel. That is a really good idea, especially since they should be so easy on the stomach. I am so picky about coconut water. I have tried a few brands of it and the only one I will drink is the regular flavor of the ZICO brand. I cannot get enough of it! FYI, I buy them at the dollar store priced at 2 for $1. GREAT price! OO, I have not seen the Iced Gingerbread. I must look for them! I should probably give the coconut water another try. I'm gonna look for that brand you suggested. Thanks! Great reviews! I am hooked on the Belvita Bars too! They taste like cookies! :) I have yet to get on the Quest Bar bandwagon, but I would like to try them. I need to try the other flavors of the Belvita Bars. Which ones have you had? OK- Earth's Best (I loved this product for my one time babies) Greek Yogurt Smoothie is on my shopping list!! I am having the worst connectivity problems, so sorry if you get a million comment requests! The regular Clif granola bars are available at just about any grocery store (Walmart, etc. ), but I've only been able to find those good Clif bars, like the coconut chocolate chip, as individual bars from my local health food store. They have tons of great flavors though, like mint chocolate and toffee crunch, so it's worth a look! You have some of my favorite bars there! My fiancé loves the NeuroSleep drink. He says it really helps him sleep better. I haven't tried Neuro Sleep Yet! 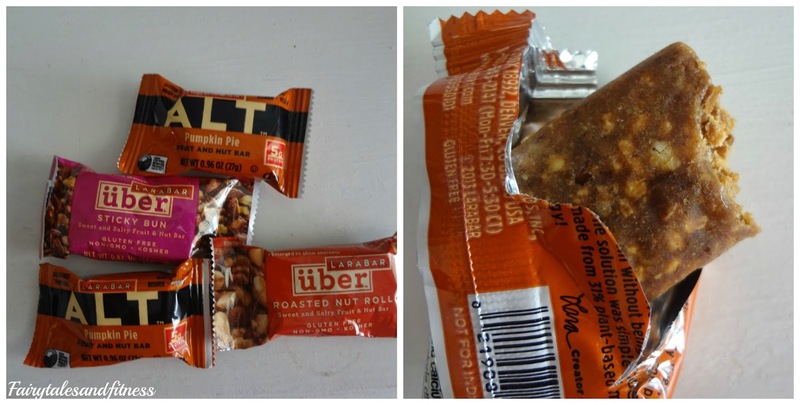 I've tried and liked many of the bars you mentioned like Larabar, Clif Bars and Powerbars. I've used Powerbar bars before marathons for breakfast. I've never tried Belvita biscuits and wondered if those tasted good. Sounds like a good travel snack! They now have the Chewy Belvita biscuits which I like even more! Thanks for such an in depth review! I'm always looking out for different/better fuel so this is a big help. I too, don't like the taste of coconut water so I usually use it when I make smoothies. You can't even taste it but I know it's in there doing it's job! I haven't tried using it for smoothies. Thanks for the idea! I've actually been drinking more and more Gatorade lately. I'm starting to think its the Gatorade itself that is making me thirsty! I haven't tried any of these, so thanks for the review! I agree with another poster that there is a lot of difference between different brands of coconut water. I like vita coco and zico. I also don't like the fruit flavored ones and just go for the plain coconut water. I don't think it's thicker than water (maybe that's due to fruit puree in the flavored ones?) but it does have a distinctive flavor. I grew up drinking coconut water (i.e. from a coconut) and therefore I like it but I can see it being an acquired taste. Many people seem to like coconut water. Perhaps I should try a different brand! I've tried a few brands of coconut water and have found VitaCoco to have the most benign flavor. I usually use it as the liquid base for smoothies, so I don't taste it anyway. And I LOVE Picky Bars. I can't say the same for the Power Bars and Quest Bars. I didn't care for the artificial sweetener taste in them. I think I'm alone in that opinion, though. Everyone else I read seems to really enjoy them both. I hate quest bars, too :) For that same reason! I LOVE coconut water, but it definitely is an acquired taste. And Lara Bars are the only bars I eat! Quest bars are definitely not my favorite but I am surprised that I didn't hate them. They actually had a bit more flavor than what I was expecting. Yes, coconut water is an acquired taste! I love me some coconut water. I will say this it has a different sweet taste than we are used to. I prefer Vita Coco to ONE. Best when super cold. Its so hydrating, if I have a headache I now drink this stuff instead of taking ibuprophen and 90% of the time must be hydration related cuz the headache goes away. I am trying to go more natural in what I eat and drink, so I tried it, but took some getting used to. My daughter is a HUGE fan of Belvita! I like Vita Coco coconut water, but that ONE brand? Agree with you, it's gross. Never thought about using fruit pouches for fuel. I might have to give it a try. You should try Zico chocolate cocnut water. I love drink8ing this after a long run it is so good. It taste like chocolate milk to me. I haven't tried other brands because I like this one so much. I will have to try some of the items on your list. I think I need to try some of that Neuro Bliss!! I've also gotten the vanilla protein PowerBar handed out after races and they are good! Agreeing with Samantha's comment - Zico chocolate coconut water is amazing! I don't like regular coconut water, but that stuff tastes awesome (to me, not as chocolaty as chocolate milk, but just enough to not taste an coconut flavor). Wow, that's a lot of good stuff! I love fruit and yogurt pouches for both me and my toddler! I read the post about using them for long run fueling and that sounded like a great idea. I really want to try Picky Bars sometime - they sound sooo good! I've been wanting to try coconut water but haven't given it a try just yet! Also, I love lara bars but my favorite is cashew cookie! You've got a few products that I have actually never heard of. I really think I need to try the Neuro Bliss, that is one I haven't heard of and after reading this it sounds great! I've never heard of the first one either. I'll have to check it out. 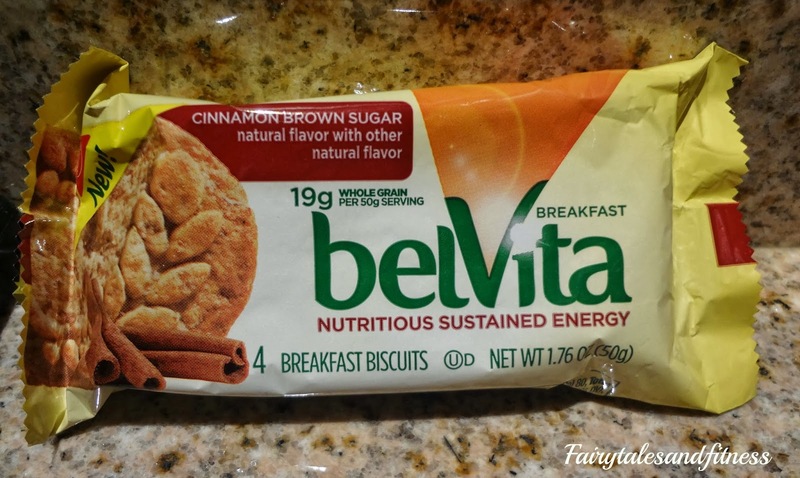 The first time I saw Belvita I was at an airport in London with an upset stomach - it was a perfect food to nibble on while my stomach settled down! This is a good list of the stuff we get! 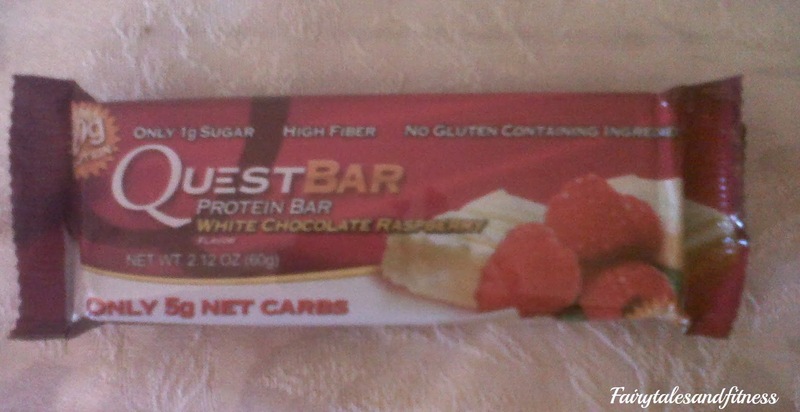 I love love Quest and Lara bars! I want to try those Picky Bars though. They look yum! Thanks for reviewing all these. I always like seeing these because it helps me pick some more things to try that I may have been thinking about or never even noticed. 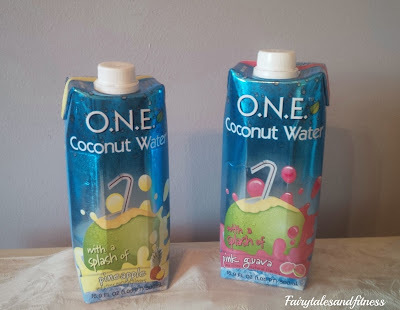 Coconut water is one of those things I really keep hearing about too that I was thinking about giving a try. I love how honest you are in your reviews! There are a couple of things on your list I want to try now. This is really interesting... baby food as fuel... I might have to try this. 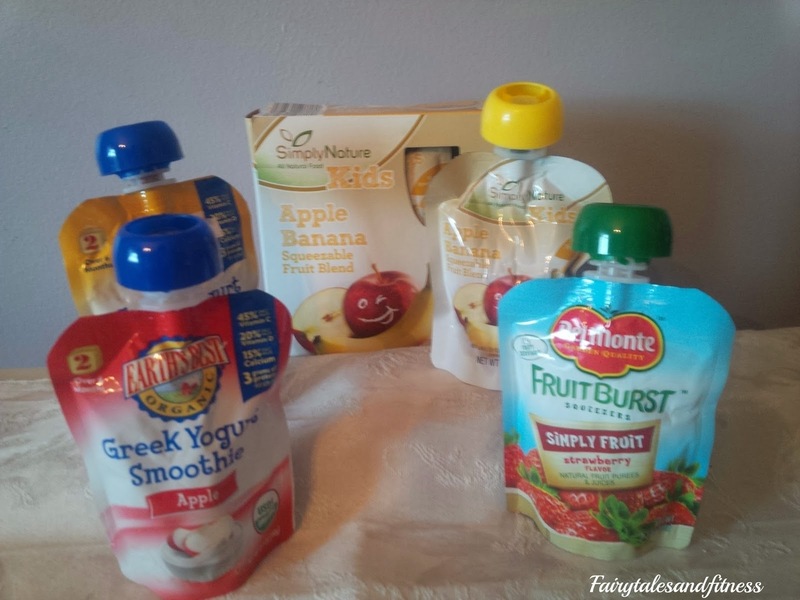 I have a toddler who doesn't like the pouches at all but I have tons of coupons! Thanks for the review! 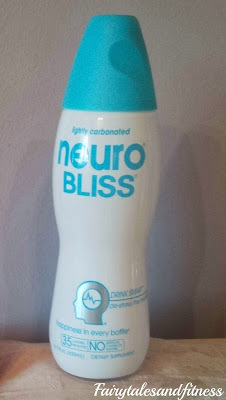 I've never tried Neuro Bliss or Passion, but neither sounds like I'd like them (I LOVE carbonation LOL). I've had most of the other products and like them. I buy the applesauce pouches at Costco and love them. Thanks for linking up with us!